IT contractor pay rates; what should you be on? Despite Brexit’s best efforts, the IT contractor market is continuing to grow, with many freelance computer professionals not recognising the 10% cuts that some of their co-workers in financial services suffered earlier this month. So what exactly do rates for technology contractors look like, as Q1 2019 nears to a close? What are the motivating, affecting factors of how much you can command? And last but definitely not least, is there a tried and tested way for negotiating what your skills are worth? 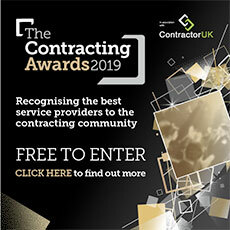 Exclusively for ContractorUK readers, let’s address these questions and more, writes Lee Biggins, founder and chief executive of CV-Library. Before we do however, bear in mind the backdrop. Yes, there is Brexit (which isn’t necessarily bad news for IT contractor demand, as we’ll outline), but there is also an ongoing skills shortage which means that average pay in the UK is climbing. It’s a trend that we’re seeing across the board. In particular, with technology playing such a crucial role in companies across all sectors, many organisations are recognising the need to bring on board IT contractors with specialist skills. In order to secure this talent, end-hirers are still prepared to commit to paying higher rates and ultimately, pull out all the stops to future-proof their business. According to data for IT opportunities taken directly from our site, the average pay for an IT contractor right now stands at £199.31 a day -- equating to £51,820.60 per annum. Interestingly, this figure is almost 16% higher than average salary for IT jobs in the UK, which currently stands at £44,748 a year. But why these roles? Well, there’s a natural correlation in pay and the key skills that are in high demand. For example, due to ongoing threats to networks, many organisations are focussing on Cyber Security right now, just as others want to get to grips with the power of Big Data, so they can get ahead of their rivals. There are a number of factors influencing pay on the UK labour market right now. The big picture, borne out by the latest official figures, is that more people are in employment than ever before. At the same time, pay is rising at an impressive rate, with the ONS also revealing that weekly wages increased by 3.4% in the three months to January. But this positive progress is at risk of stalling, if the government cannot put aside their differences and work together to secure an efficient exit from the EU. This is particularly pressing as we know that many end-hirers are already struggling to recruit the talent they need for their standard ‘business-as-usual’ objectives. Despite there being concerns around Brexit and the impact that a hard crash out of the EU could have on our country, it’s actually possible that the longer Brexit negotiations drag on for, the more roles there should be available for contractors. These are workers who can be picked up and put down as business-demand, or the impact of uncertainty on that demand, dictates. With so much uncertainty across the UK, understanding your worth is an essential part of being a successful contractor. This includes getting to grips with average day rates for your role and assessing what is feasible to ask for at both commencement and renewal. It’s true that the market is going through an uncertain time right now, with nothing more to blame than end-hirer jitters due to unknowns around Brexit. While we’re seeing more opportunities on offer, and premiums prepared for contractors who’d be perfect, there’s still a severe lack of candidates and this isn’t helping drive companies forward, assuming their plans aren’t already on a Brexit-caused hiatus. What’s more constant though, than the temporal withdrawal shenanigans, is the growth of technology -- and the corresponding talent shortages. It’s these shortages that will only make demand for skilled IT contractors even bigger, almost regardless of the nuances of the UK-EU deal, whenever it does finally emerge.